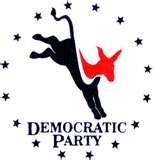 The Seward County Democratic Party will meet on Thursday, July 22, at the Masonic Lodge, 16 E. Fourth St. The Potluck Dinner will start at 6:30 p.m. and the meeting will be at 7 p.m. Items on the agenda include Democrat County Fair Booth and upcoming elections.